The course focused on equipping participants with the technical knowledge and skills of futsal -the small-sided variant of association football. Futsal is played on a smaller playing surface, mainly indoors with 5 players per team but can be adapted to the facilities available in different countries. 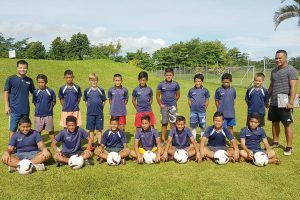 OFC Futsal Development Officer and FIFA Futsal Coaching Instructor Scott Gilligan has had a great deal of experience with these situations working in the Oceania region. 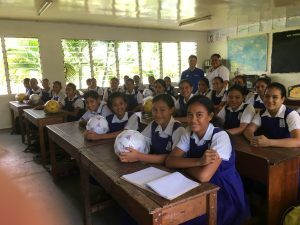 Countries like the Solomon Islands, the 2008 and 2009 OFC Futsal Champions, did not have courts for futsal but began using SIFF football fields. 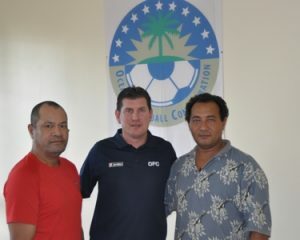 Samoa is the eighth member association of Oceania Football Confederation (OFC) to receive specified futsal training. Futsal is a game that requires good skills and speed, something which Samoans can offer to the game and may possibly be quite good at. The lesser numbers required is also favourable.